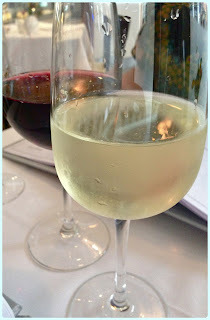 This week I was invited by Manchester Confidential to sample the menu at 47 King Street West. My husband couldn't make it, so I invited my friend Emma to give me a hand with all that food. Ever the warrior, she accepted, and off we trot. 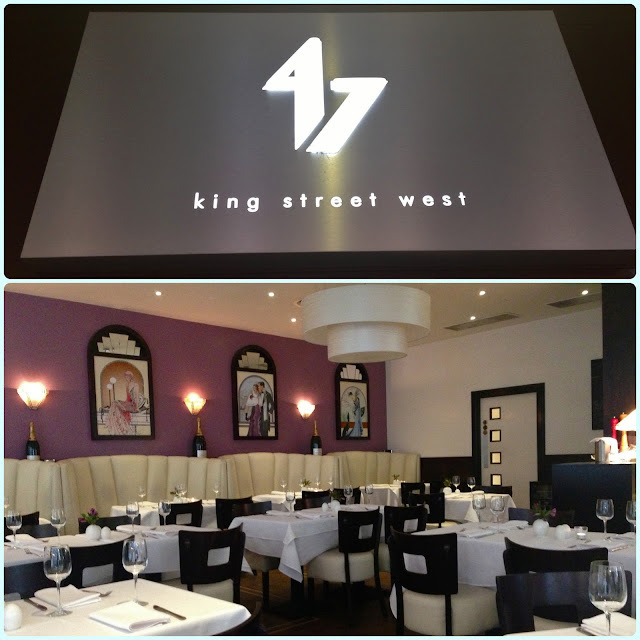 47 King Street West is nestled just behind House of Fraser, opposite San Carlo. We were welcomed in from the rain, and coats, brollies and other useless waterproof paraphernalia were removed from the theatre of conflict. Inside is a little old fashioned but clean and well finished, and window seats offer a great people watching spot. They market themselves as 'fine dining', but I think 'smart casual' is more appropriate. For starters I picked the soup of the day, which was honey roasted parsnip, and Emma had the Mediterranean risotto with parmesan. In the interest of the review, we both stole a bot of each others'. 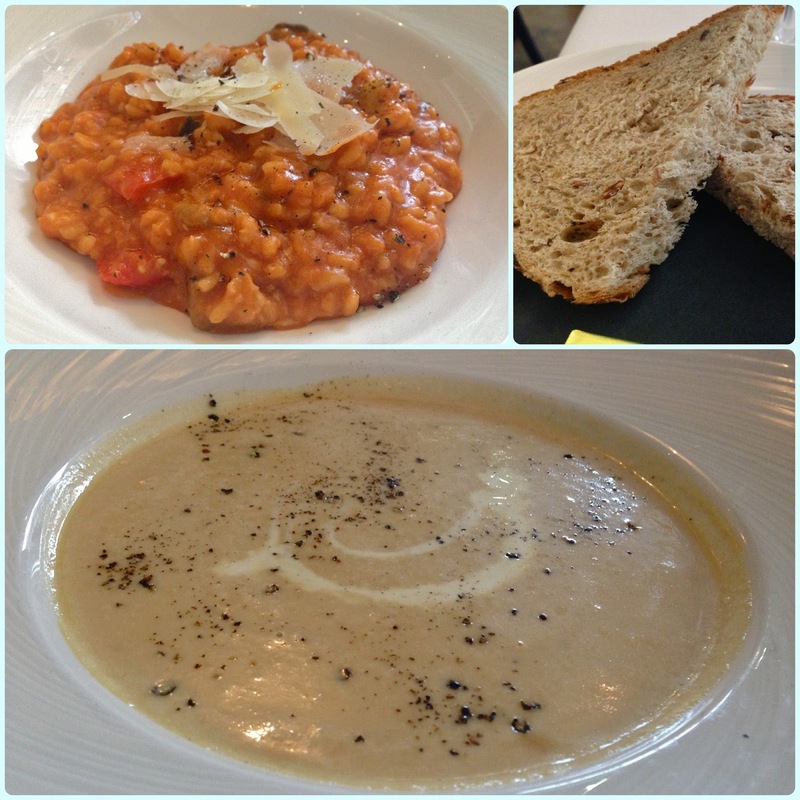 The risotto was perfectly cooked and had a generous amount of vegetables. The soup was a good thick texture and I enjoyed the taste, but I fear some would find this too sweet. Parsnips are sweet enough without lots of honey. Saying that, we both loved it. My only criticism of this course was the Chorton artisan bread. It was a little stale and came with packaged butter - only a minor thing but worth noting. 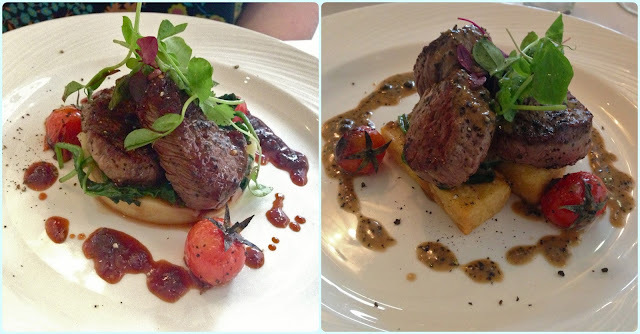 We both fancied the fillet steak medallions, but had them in slightly different ways. I originally ordered the spatchcocked poussin because the pepper sauce was calling, but then when Emma was offered a choice of peppercorn or sunblushed tomato jus, I couldn't resist swapping. They even let me have fat chips with mine rather than pomme puree. I'm done with pomme puree. And micro herbs. And pea foam. Rant over. We really could not fault these dishes. My steak was rare as requested whilst Emma's was served medium, the sauces were gorgeous and the fat chips were perfectly crispy, just as I had hoped. A very enjoyable main. 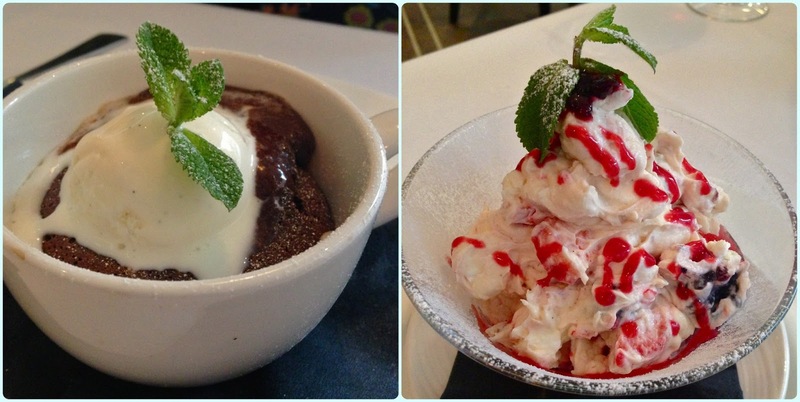 As I checked in on Foursquare, someone had recommended the Eton Mess. Couldn't resist. This was a rich pile of ice cream, cream, berries, meringue and coulis. Brilliant. Emma had the Chef's Hot Chocolate Indulgence Pudding with ice cream. This arrived bubbling away! Very rich but equally satisfying. In summary, 47 King Street West seems to have divided opinion amongst the other bloggers I have spoken to. Yes there are elements which appear a little dated but the execution of our food was good. 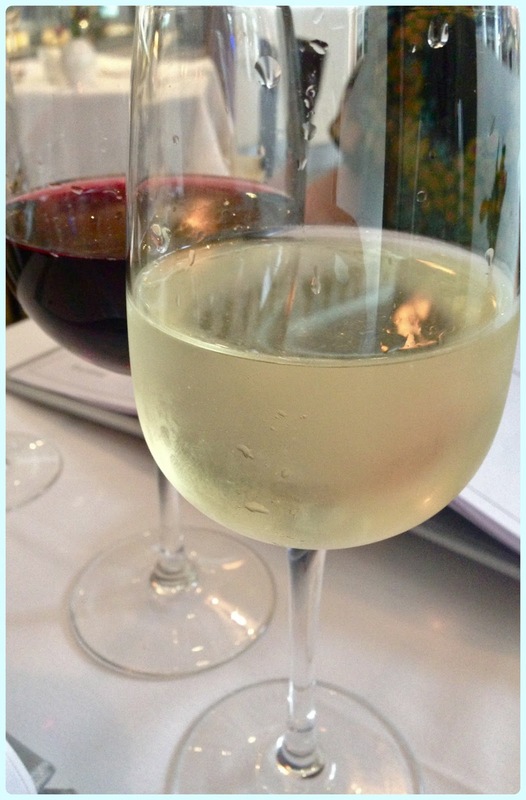 It's a little expensive (we worked out that our meal would have cost the best part of £100) but I believe there is a cracking deal on at the moment via Manchester Confidential's site - three courses plus Prosecco for £25. Keep an eye open for these. An enjoyable evening with chatty staff, a great friend and good food. Oh, but they definitely need a bigger coat stand. Really interesting review thanks and great photos too.